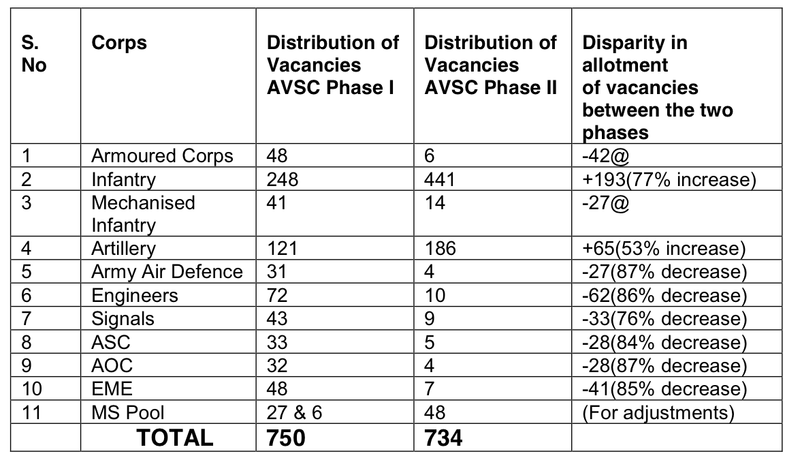 How AVSC Phase I vacancies were distributed (fairly) in 2003; and how Phase II vacancies were distributed (unfairly) in 2009, based on "Command Exit Model"
Defence Minister Manohar Parrikar has badly flubbed his first major decision relating to the morale and cohesiveness of the Indian Army. After the Armed Forces Tribunal (AFT) --- the military’s departmental tribunal --- wisely struck down a discriminatory army promotion policy, Mr Parrikar’s ministry has appealed in the Supreme Court. Instead of welcoming the AFT’s righting of a bitterly-resented wrong, Mr Parrikar has backed the divisive notion that some branches of the army are superior to others; and these should be favoured with extraordinary promotion quotas and vacancies rather than going by merit alone. In its landmark verdict on March 2, the AFT ruled that promotions to the pivotal rank of colonel (i.e. commanding officers of units) are unfairly biased in favour of two army branches: the infantry and artillery. The tribunal held that “discriminatory” army promotion guidelines of 2009 denied “equal opportunity of promotion to all officers of all corps of Indian Army”, and ordered the reconvening of all promotion boards to the rank of colonel held since 2008. In this review, vacancies would be equitably allocated to arms and services, based on “pro rata” calculation of their actual officer strength. Since 2009, a disproportionate share of colonel vacancies has made it possible for 60 per cent of infantry and artillery lieutenant colonels to become colonels, while officers from other arms and services have a success rate as low as 26 per cent. Worse, this injustice gets extended to the higher ranks of brigadier and general, where the vacancies for each arm or service corresponds to the number of colonels it has. Mr Parrikar’s worrying lack of judgment lies not just in his failure to see this injustice, but also in the divisive argument that his appeal is based on. Attorney General Mukul Rohatgi told the Supreme Court that the infantry alone “faces the bullets”. Unashamedly scaremongering, he argued for faster infantry promotions because the Pakistan army has younger infantry commanders. Rohatgi forgets that India’s “older” commanders have won every war with Pakistan. Mr Parrikar should remember his army fights as an integrated whole, not as gladiatorial infantrymen supported by lesser arms and services. Infantry units in counter-insurgency roles are officered to a major degree by young officers on deputation from other arms and services. The AFT judgment notes that their combat performance often surpasses that of infantry and artillery officers. In actual war, rapidly shifting frontlines and long-range, precision strike weaponry make the battlefield hazardous not just for infantry and artillery, but equally for engineering support, communications, repair and recovery of combat equipment and logistic support like supplying ammunition, fuel and supplies. There are few tasks more hazardous than those performed by combat engineers, which clear minefields under enemy fire. It was for this that Prem Bhagat --- an engineer, not an infantryman --- became the first Indian officer to win the legendary Victoria Cross. Every Indian soldier knows this, even if Mr Parrikar does not. Yet how can the defence minister understand the danger of dividing officers along lines of promotion self-interest, when the army’s own generals apparently do not. The current dispute began when a dominant cabal of infantry and artillery army commanders and army chiefs from 2001 to 2009 cynically subverted the recommendations of two high-powered committees --- the Kargil Review Committee (KRC) and the Ajai Vikram Singh Committee (AVSC) --- which recommended ways of reducing the age profile of the Indian army. In 1999, the KRC --- benefiting from the wisdom of K Subrahmanyam and George Verghese --- advocated lowering age across the army, not just for officers. Instead of recruiting soldiers for 17 years (the practice since 1976), after which they are entitled to a pension for life, the KRC recommended recruiting soldiers for just 7-10 years, after which they could be sidestepped into paramilitary forces or the police. This remains unimplemented due to Home Ministry opposition. In 2001 the AVSC suggested ways of reducing the ages of officers at every rank and in every arm/service --- not just within the infantry and artillery. To quickly promote younger officers, the AVSC authorised additional army vacancies at senior ranks --- 1484 additional colonels; 222 more brigadiers; 75 new major generals and 20 additional lieutenant generals. This aimed at reducing the age of commanding officers (colonels) by five years to 36-37 years, of brigadiers by six years to 44-45 years, and major generals would command divisions when they were 51-52 years old, three years younger than before. Simultaneously, the AVSC recommended a longer-term solution to the problem of a prohibitively steep promotion pyramid. This involved taking in more “short service commission” officers, who mostly retire after serving five years. For those five years, they provide the army the lieutenants and captains it needs, without staying on to compete for vacancies at senior ranks. From 2001-2009, the AVSC’s short-term recommendations were perverted by four successive army chiefs --- two each from the infantry and artillery --- who distributed most of the newly authorised rank vacancies to their own arms through a policy called “Command Exit Model”, rammed through on January 21, 2009. This pretended that the AVSC aimed at reducing ages in the infantry and artillery, and presented a fallacious logic for allocating additional colonel vacancies to the two favoured arms. The infantry was effectively handed 110 colonel vacancies to command battalions of Rashtriya Rifles (RR) and Assam Rifles (AR), in addition to 350 infantry battalions. Although officers from every arm/service man AR and RR battalions, exclusionary conditions were framed to make it almost impossible for non-infantry officers to command these units. The infantry thus increased its colonel vacancies by 30 per cent (from 350 to 460). To compound this advantage, it was decided that infantry colonels would command for just 2½ years. With 460 infantry colonels needed every 2½ years, that meant 184 colonel vacancies each year. In contrast, the engineers and signals were arbitrarily given command tenures of 4 years, and the logistics services of 5 years; reducing the number of colonels they needed each year. With an artillery chief, General Deepak Kapoor, heading the army in 2009, the artillery was similarly favoured. Small “light batteries”, traditionally commanded by lieutenant colonels, were elevated to “light regiments” commanded by colonels. The artillery’s command tenure was shortened from 3½ to just 3 years. Internal simmering within the army has boiled over after the AFT judgment. Initially just 5-6 officers went to the AFT, but now dozens are approaching the Supreme Court, adding their combined weight to the moral force of the AFT judgment. 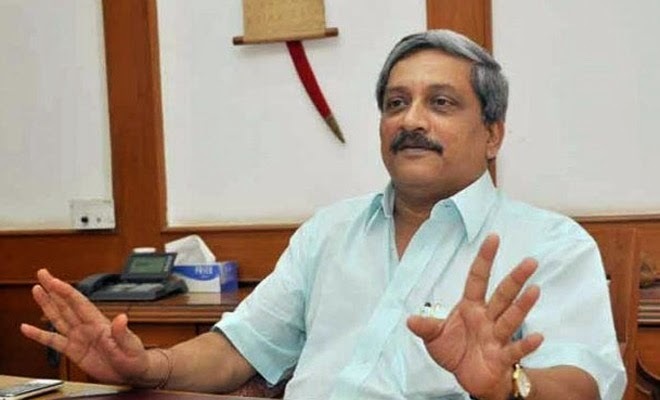 Mr Parrikar is cornered, after having briefly appeared enlightened earlier this year, when he promised the defence ministry would end its habit of fruitless appeals against adverse court verdicts. He seems likely to be rudely shocked when the Supreme Court rules on April 15. With no movement on the contract for 126 Rafale fighters, with the Indo-Russian Fifth Generation Fighter Aircraft (FGFA) far in the future, and the Tejas light combat aircraft (LCA) being built in insignificant numbers, the Indian Air Force (IAF) is making up numbers by upgrading older fighters, often at significant cost. The IAF is down to 34 squadrons against 42 squadrons authorised. This would dip to 30 squadrons by the end of this decade, as nine squadrons of MiG-21 and MiG-27s retire, with just three Sukhoi-30MKI and two Tejas squadrons due for induction. In the circumstances, the IAF is extending the life of two Mirage 2000 squadrons, three MiG-29 squadrons and six Jaguar squadrons for 15-20 years. On Wednesday French vendor, Thales, handed over the first two upgraded Mirage 2000-I fighters in Paris. Over the next 7-10 years, Hindustan Aeronautics Ltd (HAL) will upgrade another 49 Mirage 2000s in Bengaluru for Rs 12,100 crore. Meanwhile, 69 MiG-29 fighters are being upgraded for $964 million; an exercise that the government says will be completed by 2016. Now a key IAF concern is to rejuvenate its fleet of 123 Jaguars. In Bengaluru last month IAF boss, Air Chief Marshal Arup Raha, highlighted the urgent need to put new engines on the Jaguar, a $2 billion (Rs 12,000 crore) procurement that the defence ministry has stalled for years. The IAF bases two Jaguar squadrons each in Ambala, Jamnagar and Gorakhpur. Termed “deep penetration strike aircraft”, the Jaguar is designed for low level strikes against enemy ground targets: air bases, land forces and warships. Powerful engines are essential, since enemy radars would pick up the Jaguars’ ingress into enemy territory, and scramble fighters to intercept them. The “re-engining programme” involves replacing the Jaguar’s underpowered Rolls-Royce Adour 804/811 engines with newer, more powerful engines. Poised to bag this contract is US firm, Honeywell, whose F-125N engine generates 43.8 KiloNewtons (kN) of thrust, significantly higher than the 32.5 kN of the Jaguar’s current engines. The defence ministry, however, is reluctant because Honeywell is the only vendor in the fray. In response to an IAF tender in 2010, British company Rolls-Royce declined to quote, apparently because it had no suitable engine. Pratt & Whitney, the other big US engine-maker, was unwilling to transfer technology. Ministry sources say Rolls-Royce muddied the water by lobbying for upgrading the Jaguar’s existing engine, rather than fitting a new one. With HAL manufacturing the new Adour Mk 871 engine for the IAF’s Hawk trainer, Rolls-Royce argued it could cheaply build an upgraded Adour engine for the Jaguar, with many common parts. After dithering for two years over this proposal, the defence ministry issued a fresh tender in October 2012, to which Honeywell offered the F-125N engine, and remains the sole bidder. The MoD remains undecided. On December 19, 2011, the government stated in parliament that the Jaguar upgrade would be completed by December 2017. That is a far cry, with the contract still to be negotiated. Only, after that would Honeywell begin manufacturing the engines. Sections in the IAF argue that it is wasteful to fit a powerful, new engine on 30-year-old fighters, many of which have already flown 4,000 hours of the 6,000 hours specified as the Jaguar’s service life. Others point out that fighters are routinely given service life extensions, after inspections of the air frame. To be sure, HAL has accumulated a high degree of expertise on the Jaguar, having manufactured many, overhauled the entire fleet and developed world-class navigational-attack systems (termed DARIN 2 and DARIN 3) that allow pilots to fly blind to a target hundreds of kilometres away, and release their bombs precisely. The Jaguar is also being equipped with lethal Textron CBU-105 “sensor fuzed weapons”, which the IAF procured in 2010 through the US government. This weapon, which is usually delivered over enemy tank concentrations, breaks up into a large number of smart “bomblets”, which guide themselves to the tanks and penetrate their turrets from above. 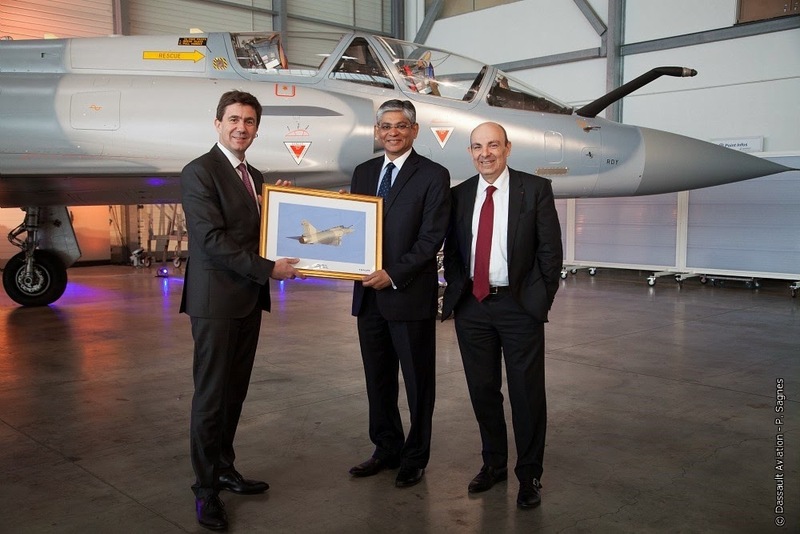 Indian defence planners have breathed a sigh of relief as the first two Indian Air Force (IAF) Mirage 2000 fighters being upgraded in France were handed over by Dassault and Thales to India’s ambassador in Paris, Arun Singh. In July 2011, the IAF signed a contract to upgrade its entire fleet of 51 Mirage 2000 fighters. This would extend the life of the ageing fighters --- acquired in the mid-1980s to counter Pakistan’s new F-16s --- by another 15 years. The upgraded fighters are designated Mirage 2000I, while the twin-seat trainer version is designated Mirage 2000TI. The Rs 12,100 crore contract has two components, the defence ministry told parliament on December 19, 2011: Euro 1,470 million (Rs 10,080 crore) would be paid to French vendor, Thales; while Hindustan Aeronautics Ltd (HAL) would get Rs 2,020 crore. That amounts to an upgrade cost per aircraft of Rs 237 crore. With the Rafale contract in limbo, the upgrade of the IAF’s Mirage 2000 and Jaguar fighters has become vitally important. The IAF has just 35 squadrons now (with 16 operational fighters and two trainer aircraft in each), against the 42 squadrons authorized for defending the Pakistan and China borders. The two fighters delivered today are likely to arrive in India in early April and join their respective squadrons. Two Gwalior-based IAF squadrons currently fly the Mirage-2000: Number 1 Squadron (Tigers), and Number 7 Squadron (Battle Axes). Meanwhile, HAL is upgrading the next two Mirage 2000s at its Bengaluru facility, with Dassault and Thales providing “on-the-job training”. Dassault builds the airframe of the Mirage 2000, while Thales provides most of the avionics. Business Standard toured the Mirage facility in HAL in January, and learned that the third and fourth upgraded fighter would be completed in September and November 2015 respectively. There are 120-130 technicians working in HAL’s Mirage 2000 upgrade and overhaul facility in Bengaluru. HAL would upgrade the remaining 47 Mirage 2000s without assistance, fitting in upgrade kits provided by Dassault and Thales. This would take 7-10 years. While the upgrade does not involve fitting a new engine, it includes extensive avionics upgrades. Thales is providing a new radar, mission computer and electronic warfare suite, said the French vendors in a statement today. In place of the old analogue instruments in the cockpit, the pilots will now have an “all-glass cockpit”, with video displays of flight parameters and weapons aiming and operation. They will also have helmet-mounted sights, which allow pilots to aim weapons at targets merely by looking at them. In a linked contract, the IAF has procured 490 MICA “beyond visual range” missiles from French company, MBDA, for Rs 6,600 crore. 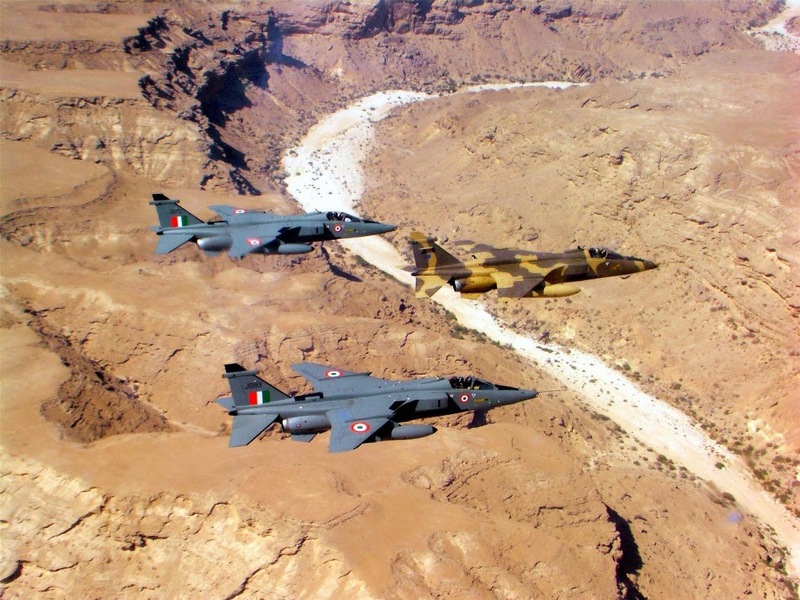 The IAF places high confidence in its Mirage 2000, which have not just provided high serviceability rates but were also modified for delivering “precision-guided munitions”, or laser-guided smart bombs, during the Kargil conflict in 1999. 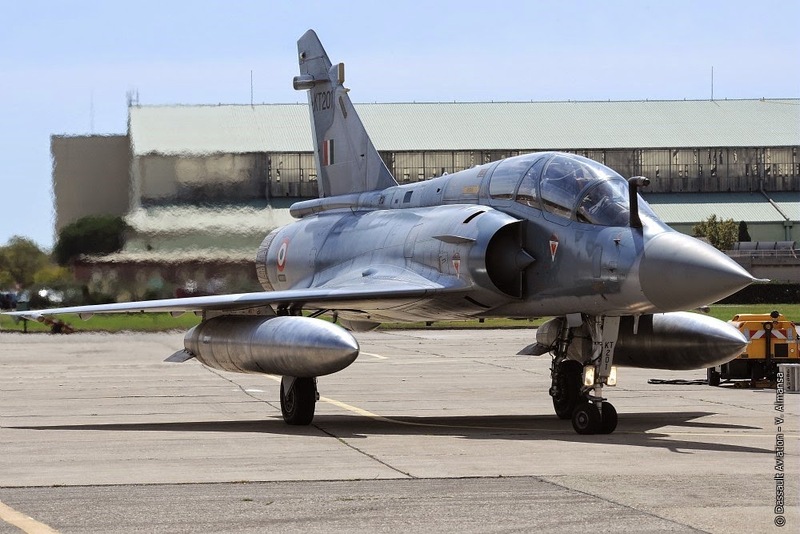 Alongside the upgrade, HAL is simultaneously overhauling its entire Mirage 2000 fleet, a year-long procedure that each fighter undergoes after flying 2000 hours or 13 years, whichever happens first. The entire Mirage 2000 fleet underwent a first round of overhaul from 1991-94. The second overhaul round began in 2009. “We have developed a high degree of expertise in maintaining, overhauling and now upgrading the Mirage 2000”, said a HAL line manager. In the afternoon of November 10, within ten minutes of occupying his new office as defence minister, Manohar Parrikar proclaimed that “transparent and swift decisions” were his speciality. Since then, he has repeated that boast at least thrice, alongside other confident promises of policy reform. Yet, not a single important policy has emerged from Mr Parrikar’s ministry so far, only slipping deadlines that recall the enervating days of his predecessor, AK Antony. If the previous defence minister neither spoke nor acted, the current one is quick to promise transformation. Neither, however, has delivered real change. At a media conclave in early December, Mr Parrikar promised ex-servicemen their One Rank One Pension demand within four to eight weeks. This deadline has been repeatedly extended, but exasperated ex-servicemen continue to wait. In December Mr Parrikar also promised a new policy by January that would monetarily penalise, rather than ban, corrupt arms vendors. That promise has been renewed repeatedly, including at Aero India 2015 last month. Yet, top helicopter maker, AgustaWestland, remains excluded from a slew of impending helicopter purchases (Mr Parrikar estimates the military will need 800-1000 new helicopters over the next five years), creating single-vendor situations in which India might buy choppers for hundreds of millions of dollars more than in a procurement where competing vendors drive down prices. In October, an Italian court threw out the bribery charges against AgustaWestland. Yet the defence ministry remains frozen, even though the Central Bureau of Investigation has failed to even file a charge sheet against AgustaWestland during the past two years. Mr Parrikar’s most worrying delay relates to his promise to simplify and rationalise the “Make” category of defence procurement, under which Indian companies design and build major defence systems, with the defence ministry reimbursing 80 per cent of the development cost. Both Mr Antony and Mr Parrikar agree that “Make” category projects would vitalise Indian defence industry. Like elsewhere, Mr Parrikar has overpromised and under-delivered on the new “Make” procedure. In December, he invited the who’s who of the defence industry to Goa and assured them of a new “Make” procedure by end-January. The next day, he told defence journalists in Delhi that the “Make” procedure would be ready “in the next two-three weeks”. Seven weeks later, Mr Parrikar declared during Aero India 2015, in February, that the “Make” policy would “crystallise” in March and be notified by April/May. Currently, the government and private defence industry are debating the new “Make” policy, with private firms determined to wrest parity with the eight defence public sector undertakings (DPSUs) and 41 ordnance factories (OFs), in whose favour the deck has traditionally been stacked. To counter the defence ministry’s well-known bias towards its pet mastodons, the Prime Minister’s Office has asked the Department of Industrial Policy and Promotion (DIPP) to arbitrate the framing of the new “Make” policy. Even so, the draft of the new policy, which I have examined, remains contested. The private sector has told Mr Parrikar that the “Make” procedure, in its currently proposed form, is destined to fail. First, the new policy ignores the private sector’s concern over the debilitating cost of capital. True, the defence ministry eventually reimburses the “development agency” (DA) --- the company, or consortium that leads a “Make” project --- 80 per cent of the development cost. However, until the money is reimbursed at stipulated development milestones, the DA must bear the cost of capital. With interest costs ranging from 14-16 per cent, industry argues that their putative 20 per cent share actually rises to 40-50 per cent. If the defence ministry cannot pay up front, private industry wants it to share the cost of capital in an 80:20 ratio. The government does not dispute the interest cost; but the draft “Make” procedure disallows “interest” from being included as a project cost. Ludicrously, the defence ministry argues that the US Pentagon’s Defence Advanced Research Projects Agency, famously known as DARPA, which similarly sponsors small research projects, does not reimburse interest costs. The private sector retorts that DARPA reimburses 100 per cent of project cost; and capital costs just about 2 per cent in America anyway. Second, major private firms have protested the dilution of three key eligibility conditions in the draft policy that could open the doors for foreign defence majors to access Indian funding under the “Make” procedure. So far, a company was eligible for “Make” projects only after operating for 10 years; the draft policy halves that to five years. Earlier, a company required an asset base of Rs 100 crore and turnover of Rs 1,000 crore to participate; the draft policy only requires a “positive net worth” that is 5 per cent of the project size. For micro, small and medium enterprises (MSMEs) the net worth criterion is waived entirely. So far, the policy required a company to have a defence licence; now it need only have applied for one. A foreign defence major can win development contracts with 80 per cent Indian government funding merely by forming a 49:51 joint venture with an unscrupulous Indian MSME that has had a sleeping company for 5 years. Third, the private sector has strongly protested a draconian provision that renders any company that violates any policy guidelines (and presumably the ministry would be the judge of that) punishable by a five-year ban from doing business with the defence ministry. Industry bodies have requested that a ban be limited to ethical violations, which could be covered under an “Integrity Pact” that already forms a part of all defence procurement contracts. “My board would never allow the company to participate in a development programme where the company could be excluded from all defence business for a minor procedural violation”, says a defence firm chief executive officer. From the delays and disputes, it appears as if the defence minister is not entirely clear about what the “Make” procedure intends to achieve --- to create Indian “system integrators” that own the intellectual property that goes into a military platform, allowing not just in-country design and manufacture of that equipment, but also life-cycle support and periodic systems upgrades, all of which add up to 6-10 times the procurement cost. This is qualitatively more strategic than simply boosting manufacture to create jobs. So far Mr Parrikar’s embrace of the “Make” procedure is apparently rooted more in his boss’ enthusiasm for the “Make in India” slogan than from a hard-eyed realisation that Indian defence industry needs to be nurtured, hand-held and protected so that it can develop and supply defence equipment designed and built specifically for India’s military requirements. There has been enough delay and prevarication. The “Make” procedure needs to be finalised and at least 15-20 development projects contracted, for which the Rs 144 crore provided in the defence budget must be increased substantially. On Wednesday, the Supreme Court rendered a decision that practically makes the Armed Forces Tribunal (AFT) the first and the last forum for serving and retired soldiers, sailors and airmen and their families, sharply eroding their legal rights compared with other Indian citizens. The apex court has ruled that AFT verdicts cannot be challenged before High Courts, as was being done till now. The only recourse available after the AFT will now be the Supreme Court. However, in 2012, the Supreme Court has ruled that military litigants have no vested right of appeal against an AFT judgment. As per the Armed Forces Tribunal Act, 2007, the apex court can only be approached if a “point of law of general public importance” is involved or if the issue is important enough to warrant the attention of the apex Court. “Most issues before the AFT are not of public importance. They relate to veterans’ pensions, medical disabilities, etc. Since these cannot now be taken before the Supreme Court as a matter of right, the AFT has become the only court for military litigants, effectively denying poor soldiers the right of judicial review,” says Navdeep Singh, a Chandigarh-based lawyer, widely respected for his legal services to military veterans. In contrast, a 7-judge Supreme Court bench had deemed "unconstitutional" a similar ruling that prevented High Court review of rulings of the Central Administrative Tribunal (CAT) and State Administrative Tribunals (SATs). 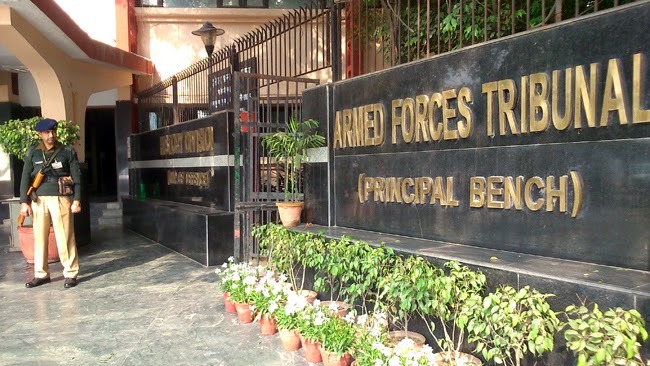 The AFT was established in 2009 under the Armed Forces Tribunal Act, 2007, as a judicial tribunal that soldiers petition for justice before approaching civil courts. Legal experts have questioned the AFT’s independence, since it functions directly under the Ministry of Defence (MoD). The MoD appoints the judges to the AFT. The Defence Secretary (who is on the panel that selects AFT judges) is also the First Respondent in most cases filed by soldiers, sailors and airmen. In November 2012, the Punjab & Haryana High Court ordered that the AFT be placed under the Ministry of Law & Justice. An MoD appeal against this verdict is pending in the Supreme Court. Right to Information applications have revealed MoD patronage of AFT judges. As Business Standard has reported (April 2, 2013, “RTI reveals MoD largesse to Armed Forces Tribunal”) the MoD admitted spending over Rs 67 lakhs for “official foreign visits” by the then AFT chairperson and members, and having provided them with unauthorized canteen cards to shop at subsidized military retail outlets. AFT Administrative Members (military generals on the tribunals) are called to army formations to “sensitise” them about cases that the were hearing. Recently a Supreme Court Constitution Bench struck down the national tax tribunal on the grounds that it was not independent of the government. Arvind Datar, who was counsel in that case, asserts that Article 226 of the Constitution, which provides judicial review before the High Court, cannot be struck down. “Look at the poor soldier and how he would be affected by such a judgment. A jawan living in Tamil Nadu, or Assam, would have to engage a Supreme Court lawyer in Delhi, and bear all the expenses of travel in order to appeal against an AFT ruling. This is completely unfair”, says Datar. Meanwhile, the MoD's battery of lawyers in New Delhi continue filing automatic appeals in the Supreme Court against unfavourable AFT orders. So serious is the problem that Defence Minister Manohar Parrikar recently pledged to end this practice. Legal experts point out that, if High Courts can no longer hear challenges and provide redress, the Supreme Court would directly receive a flood of appeals, diverting it from its primary task --- to adjudicate on matters of importance and Constitutional issues. “Ultimately, defence personnel have become even lesser citizens than what they already were. Justice will now be neither affordable, nor accessible. We will request the honourable Supreme Court in other similar pending matters to refer this issue to a larger bench”, says Navdeep Singh. The defence budget announced on February 28 has disappointed the army, navy and air force. With acquisitions in the pipeline worth over Rs 20 lakh crore, military planners protest that the capital budget allocation of Rs 94,588 crore --- not even a rupee more than what was allocated in last year’s budget --- is far less than what is required. Rs 31 lakh crore worth of acquisitions are needed over a 15-year period, say top level sources in the Integrated Defence Staff (IDS), which carries out long term planning of acquisitions for the three services. This is formalised in the classified Long Term Integrated Perspective Plan (LTIPP), which compiles the military’s equipment requirements over the 12th Defence Plan (2012-13 to 2016-17), the 13th Plan (2017-18 to 2022-23) and 14th Plan (2023-24 to 2027-28). Adding to the military’s disquiet is the repeated inability of the ministry of defence (MoD) to spend the capital budget on new equipment. Year after year, chunks of the capital budget are surrendered unspent, or diverted to the revenue budget for funding running expenses like military salaries, and maintenance of equipment. In the current year, the MoD has managed to spend only Rs 81,965 crore of the Rs 94,588 crore allocated for capital spending, a shortfall of Rs 12,623 crore. Rs 6,630 crore was returned to the finance ministry, while over Rs 6,000 crore were diverted to expenses like salaries. A Business Standard analysis of equipment requirements over the next 15 years and the likely fund availability during this period finds a precarious balance between needs and means. In the near term, there is precious little money to meet the three services’ requirement of Rs 20 lakh crore worth of equipment. 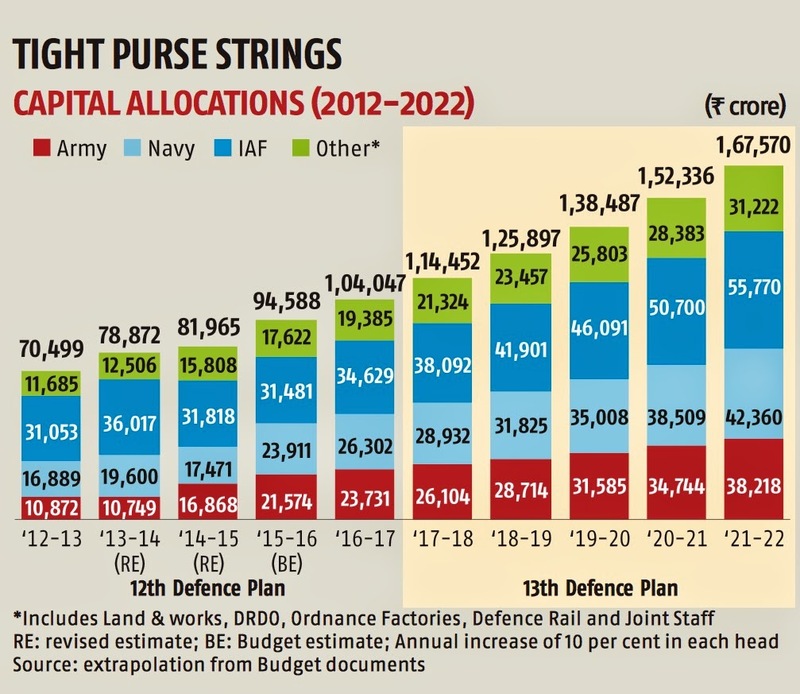 However, as the years go by, especially in the next decade, an expected real increase of 10 per cent per annum will have allocated Rs 22.5 lakh crore by the end of the 14th Defence Plan in 2027-28 towards the military’s capital budget (see graphic below). This includes a cumulative total of Rs 5 lakh crore for the army, 5.65 lakh crore for the navy, and Rs 7.72 lakh crore for the air force. Another Rs 4.17 lakh crore will provide capital funding for Defence R&D Organisation (DRDO), Ordnance Factory Board (OFB), joint staff, army railroads and military land and buildings. Given the army’s requirements of Rs 5.29 lakh crore, that leaves a shortfall of Rs 30,000 crore. The navy will be short of Rs 1.75 lakh crore, given that it must spend Rs 7.4 lakh crore. The air force alone might have the money it requires, with budgetary projections providing it Rs 7.72 lakh crore to meet its equipment requirements of 7.28 lakh crore. These projections assume that the distribution of funds between the three services remains static. In fact, the share of the navy has steadily grown over the years, rising from barely 5 per cent of the overall defence budget to 16 per cent today. The military implications of a “Look East, Act East” policy might result in further increases to the navy, with some analysts predicting that the navy’s allocations might inch up to 20-23 per cent of total military spending. That would come at the cost of the army and air force. Future budgetary projections are always uncertain, and Lieutenant General Anil Chait, who coordinated tri-service budgetary and acquisition planning until he retired as chief of the Integrated Defence Staff (IDS) last May, points out that Business Standard’s funding projections assume low inflation and a stable rupee. With 60 per cent of the military’s equipment requirements being sourced from abroad, any significant rupee devaluation would indeed buy less bang for the Indian buck. Even so, financial planners within the military admit that, given the current inflation environment and a stable rupee, these calculations are probably realistic. While the army remains the service most in need of modernisation, land systems in general are significantly less expensive than aircraft and naval equipment. A large chunk of the army’s modernisation budget will go towards procuring, or indigenously building, modern howitzers, rocket launchers and various missile systems. There will be large expenditure on modernising the army’s mechanised forces, including the indigenous development and production of a Future Main Battle Tank (FMBT) and Future Infantry Combat Vehicle (FICV). Also being developed indigenously is the digital backbone for a “networked force”, which will include communications and data networks like the Tactical Communications System (TCS), as well as soldier-specific networks like the Battlefield Management System (BMS), which was kick-started last week. Besides these high-tech systems, the army will also spend on basic combat equipment, including new rifles, carbines and machine guns. Another big army expenditure will involve raising a new mountain strike corps (MSC) for offensive tasks on the mountainous northern border. While the government had announced it would spend Rs 67,000 crore on this new formation, most of that money remains to be allocated. The navy’s Maritime Capability Perspective Plan (MCPP) envisages a 160-ship force that is centred on 90 capital warships, like aircraft carriers, destroyers, frigates and corvettes. While there are currently more than 140 vessels, the navy has barely half the destroyers and frigates it needs. About five ships need to be inducted each year just to replace warships that are decommissioned after completing their 30-40 year service lives. Much of the navy’s modernisation budget, therefore, would go towards constructing new warships and submarines. Submarines will form a thrust area. These include twelve conventional submarines, of which six Scorpenes would start rolling out of Mazagon Dock Ltd next year. Another six will be built in India along with a foreign partner shipyard. The DRDO will build another two nuclear missile-carrying submarines of the Arihant class (SSBNs); and develop and build six nuclear-powered attack submarines (SSNs) in India. INS Chakra, the SSN leased for ten years from Russia, will be joined by a second leased SSN. Capital warships are being built in numbers, including seven stealth frigates under Project 17A; four stealth destroyers under project 15B; two indigenous aircraft carriers, INS Vikrant and Vishal, and four anti-submarine warfare (ASW) corvettes under Project 28A. In addition, the navy will acquire six fleet support ships (FSS), 4-6 landing platform docks (LPDs) for amphibious assaults on enemy coast lines, 24 mine counter measure vessels (MCMVs) to guard against sea mines laid by the enemy outside our ports, harbours and on shipping lanes. A hefty chunk of expenditure will go towards developing a brand new naval base on the Andhra Pradesh coast at Rambilli, which will be the key operational base for the Eastern Naval Command. Money will also be spent on the Western Naval Command’s premier new base at Karwar, and on naval facilities in the Andaman & Nicobar Islands in the Bay of Bengal. With just 35 fighter squadrons operational presently against the air force’s authorised strength of 42 squadrons; and with another 11 squadrons likely to be decommissioned before the end of the 13th Defence Plan, the air force’s focus is on acquiring fighter aircraft. Besides the Rafale medium multi-role combat aircraft (MMRCA), it will buy six squadrons of Tejas light fighters; 80 more Sukhoi-30MKI fighters under an existing contract; and upgrade its fleet of 50 Mirage 2000 and 125 Jaguar fighters. There is an Indo-Russian development programme under way for 144 fifth generation fighter aircraft (FGFA); and another DRDO development project for at least 150 advanced medium combat aircraft (AMCA). Transport aircraft are another thrust area, including the Indo-Russian programme to develop a multi-role transport aircraft (MRTA); the replacement of 56 Avro HS-748; and the on-going procurement of C-17 Globemaster III heavy lift aircraft from the US. In addition, the air force is procuring large numbers of helicopters, including the billion dollar purchases of the Apache AH-64E attack helicopter and the Chinook CH-47F heavy lift chopper. These procurements do not include a host of high-tech development projects that are planned for developing the battlefield capabilities of the future --- space surveillance; launch-on-demand satellites; hypersonic vehicles that will translate into more effective strike vehicles; electronic warfare systems; cyber warfare capability; active armour; active counter-IED technologies, unmanned combat aerial vehicles to replace manned fighters and a range of drones that have precision strike capabilities. The DRDO also has programmes under way to develop high altitude long endurance (HALE) and medium altitude long endurance (MALE) drones, long range cruise missiles and an anti-ballistic missile shield to shoot down incoming nuclear-tipped ballistic missiles. None of these have been budgeted for, except through the DRDO’s budget. However, in a 15-year perspective, some of these projects might will reach fruition, and their introduction into service would require additional funds.